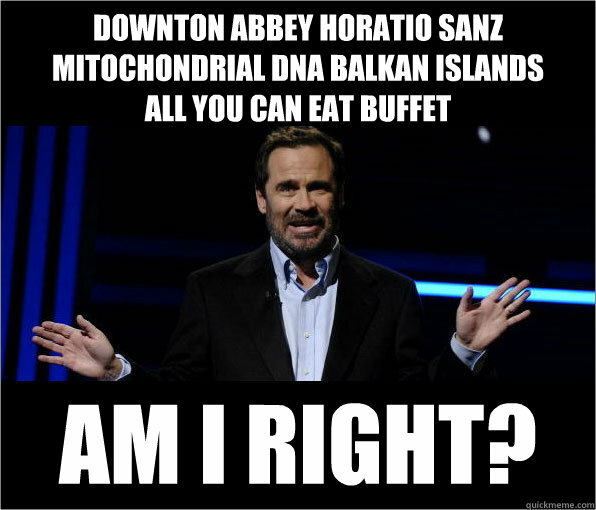 downton abbey horatio sanz mitochondrial dna balkan islands all you can eat buffet AM I right? 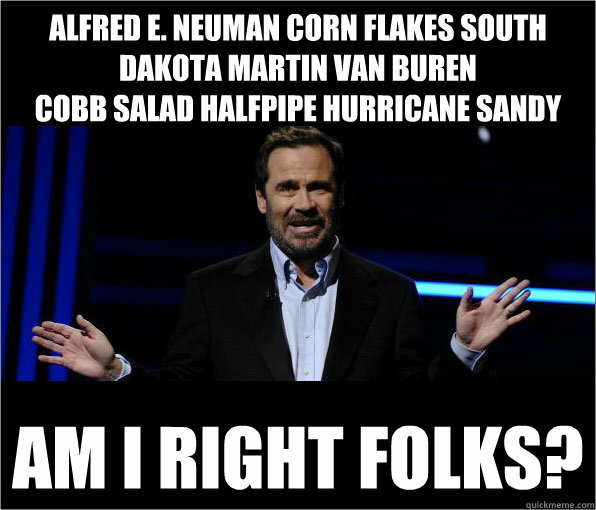 Alfred E. Neuman corn flakes south dakota martin van buren cobb salad halfpipe hurricane sandy am I right folks? 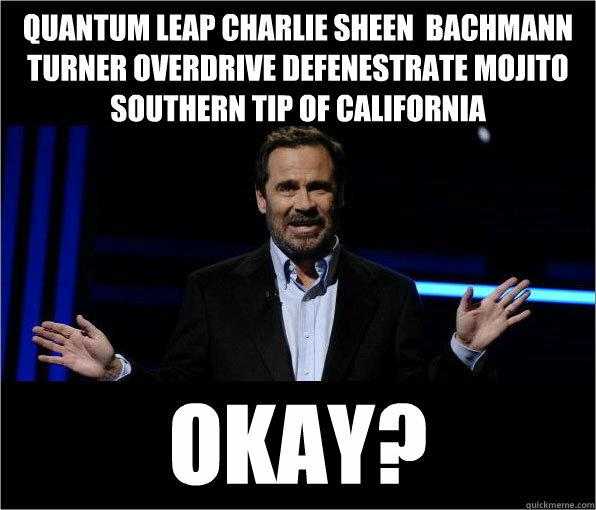 quantum leap charlie sheen Bachmann turner overdrive defenestrate mojito southern tip of california Okay?